I love this last photo too. What a gem of a scene! Thanks Frederic! I hope it will be even better with some big trees. Oh I really like that last photo, it looks so realistic! I like the way you made the roof space of the cut-away station just a plain black panel: if you had modelled an attic it would have been distracting from the important part of the scene. Thanks Peter! That was the idea. I think as you say that it had been a little too much for the viewer and distracting from the scene below. I'm however not quite happy with how I fitted the panel. I have not been very active lately as we have got a new pet to our family. 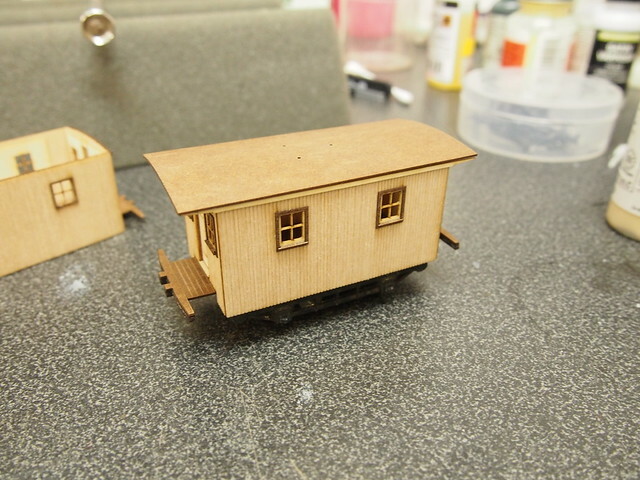 I have managed to start on a small bobber Caboose as my layout very much lacks those. 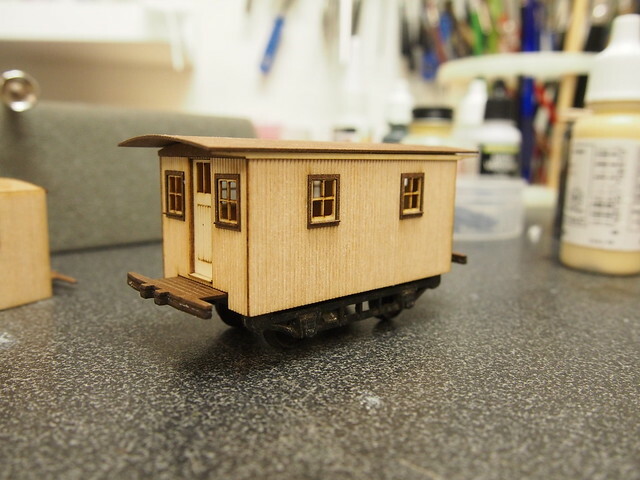 I found on Ebay a small Caboose frame with wheels that I thought would be good starting point. For the body I found an old article in MR on a caboose from 1870-1880 period, no 10 D&H which drawings I have used as a guide. I drawed it in Sketchup and cheated big time with having the parts laser cut. 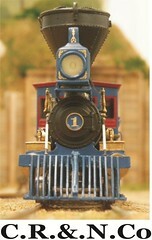 The Caboose with frame and the body prior to assembly can be seen in the photos below. One fun thing with this Caboose is that according to the article instead of a cupola it had a three legged seat firmly attached to the roof on which the brakeman could sit and survey the train. If this is true it must have been really nasty sitting there totally exposed to the elements. Also in the article there doesn't seem to be any ladder to help getting him up on the roof so either he climbed using what handholds available or he jumped to the car in front and got up that way. Anyway I'm a bit skeptical that it really was a seat. More likely would be that the contraption was for a lantern or something. As I'm lacking better knowledge I will feature that seat on the finished model as a model opportunity to good to pass on . My railroad has a total lack of cabooses. Either visitors are too polite to point this out or they think early railroads didn't have them. I don't believe the chair story either. The story about using benches/stools on freight car tops is true. 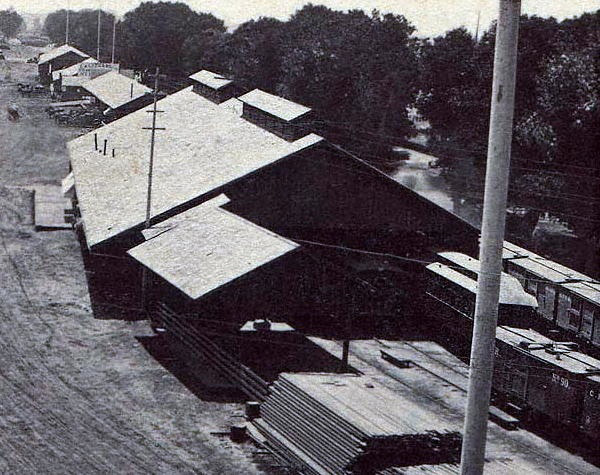 The Central Pacific used them until they got real cabooses with cupolas. 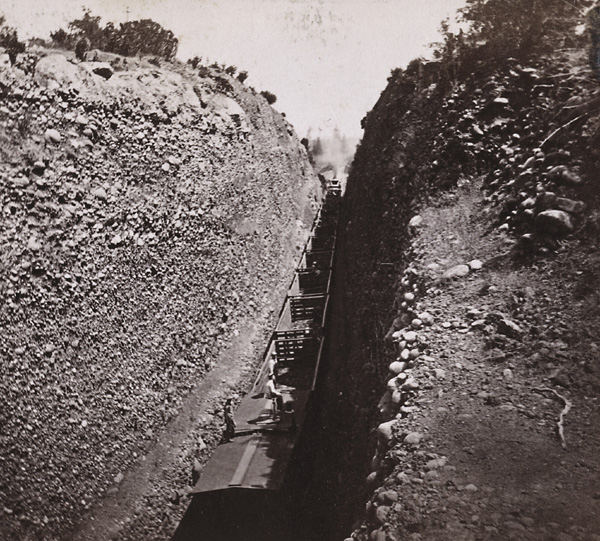 The first photo shows a typical freight train in Bloomer Cut. This one shows a closeup of two such cars in the Sacramento yards. There are also other photos showing the wide-spread use of benches. My first post to this forum didn't come out too well. The photos were too small so I'll try again and include another photo showing one of these cars with rooftop benches. I guess if men run along the tops of freight cars in all kinds of conditions, anything is possible. Now I can add some stools or benches on some of my box cars and consider my caboose project done. Nice caboose Hagan. Looks like another sharp build a happening. Don, nice contribution. I hope you can drop by regularly. Thanks Mike and Bob! Personnel on the roofs can be a nice detail. 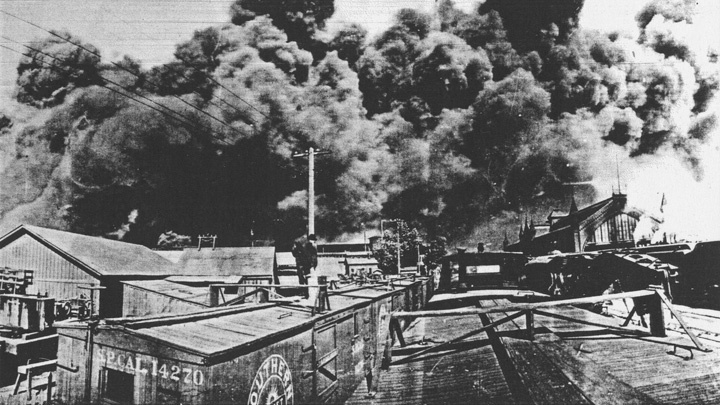 The Edison movie Ross showed us in another thread with a SP train had a lot of personnel up on the roofs. Thank you Don for the enlightening and the great photos. I as Bob also hope you drop by regularly. Your layout is a great inspiration! Nice looking bobber, H�kan and an interesting discussion about seats on the roof. Putting a seat with someone sitting on it would make a unique model. At a recent open house for my layout, two prototypically-correct lime green reefers among a sea of box car red freight cars generated the most questions and questioning looks. Imagine having chairs with trainmen on boxcars. I suspect my period (1888) is a little too late for that on an eastern road, but think of the fun! Thanks George! Well I can say its very tempting. Mike I'm a bit reluctant myself as I'm modeling around 1890 but I'll sleep on it. Novelty took perhaps a longer time to reach the backwoods I'm modeling. Tonight I started on the supports for the steps and the handrails. 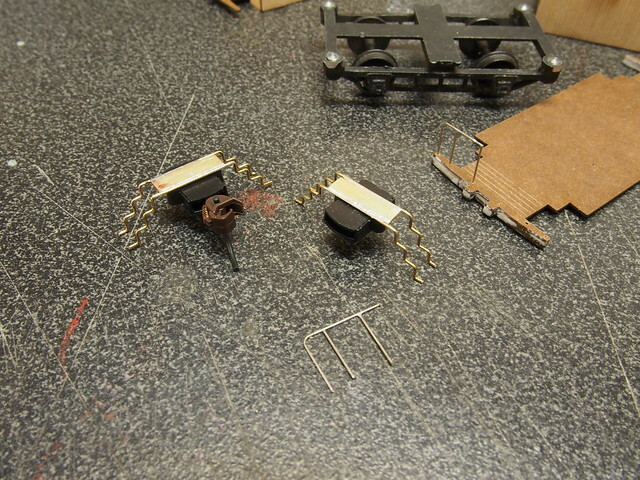 I bent 0.5mm brass wire as supports for the steps and soldered them to a brass plate. The plates I then tapped for a 1.4mm screw that holds the coupler pockets. The brass plates will then be glued to the underside of the frame. The spidery things are the step supports.